Stay in a temple on Mt Koya on this 2-day train trip from Osaka. 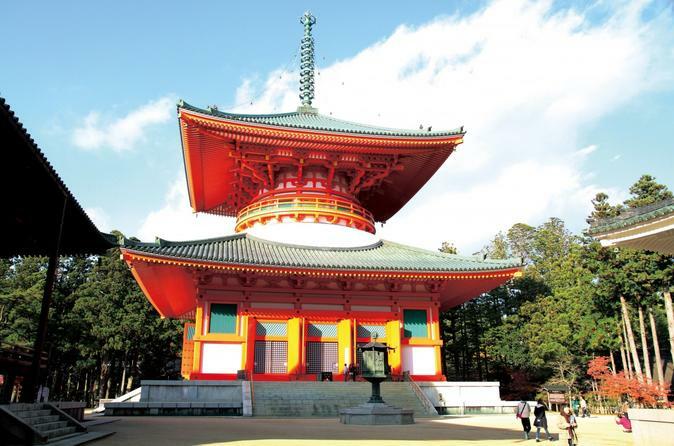 This exciting overnight package introduces you to the hallowed mountain’s heritage sites such as the temple complex of Danjo Garan and the intriguing Okunoin graveyard. Learn how the mountain is sacred to the Shingon Buddhists as you explore it with a guide, and then rest overnight at Fukuchi-in, a temple with an enticing ‘onsen’ hot spring. Enjoy free time on the second day before the trip back to Osaka.